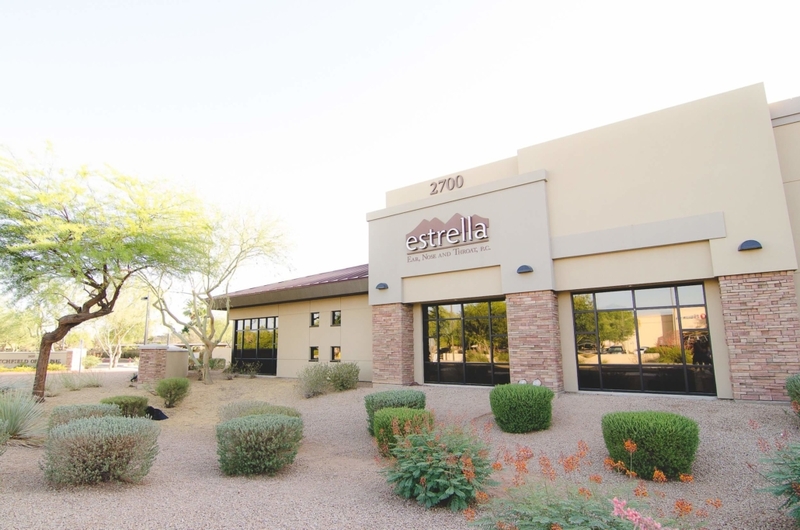 Welcome to Estrella ENT, P.C. Explore all of our services here. 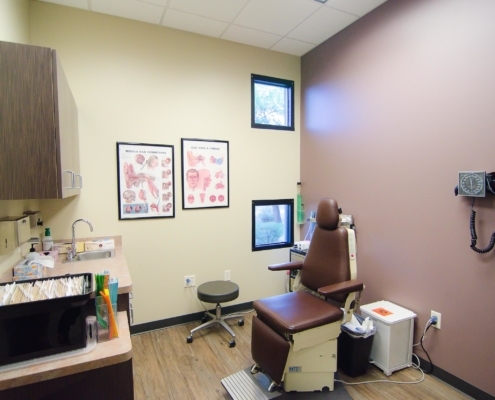 Schedule an appointment using our online portal here. 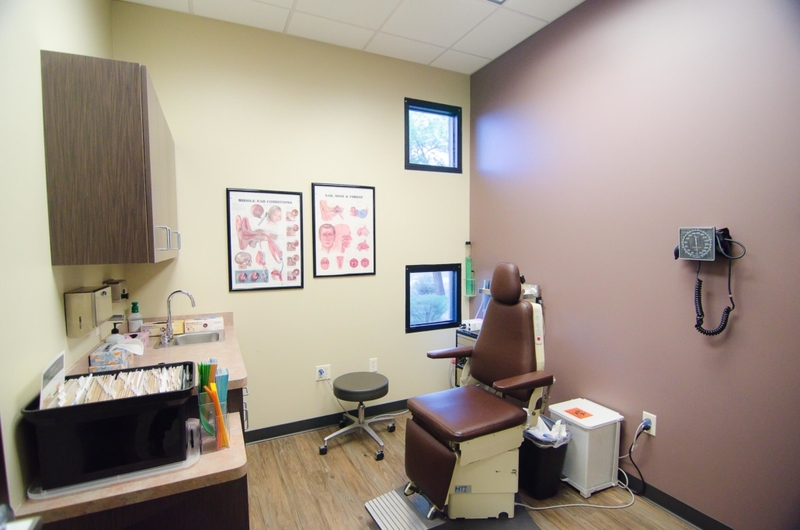 Full service ear, nose & throat clinic for both pediatric and adult patients. State of the art, in-office sinus procedures. Immediate relief from sinus pain and congestion. Comprehensive ENT & Allergy treatment for the entire family. 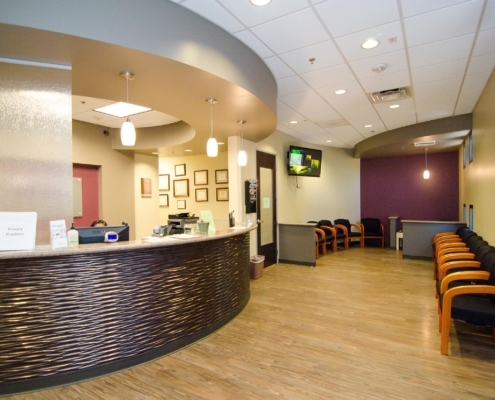 Are You New to Our Practice? Do you need to schedule your first visit? 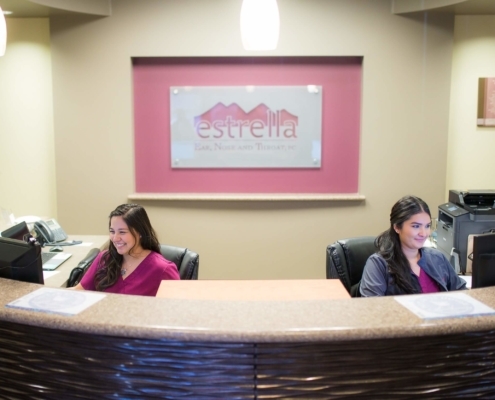 Patients at Estrella ENT have two options for scheduling an appointment. 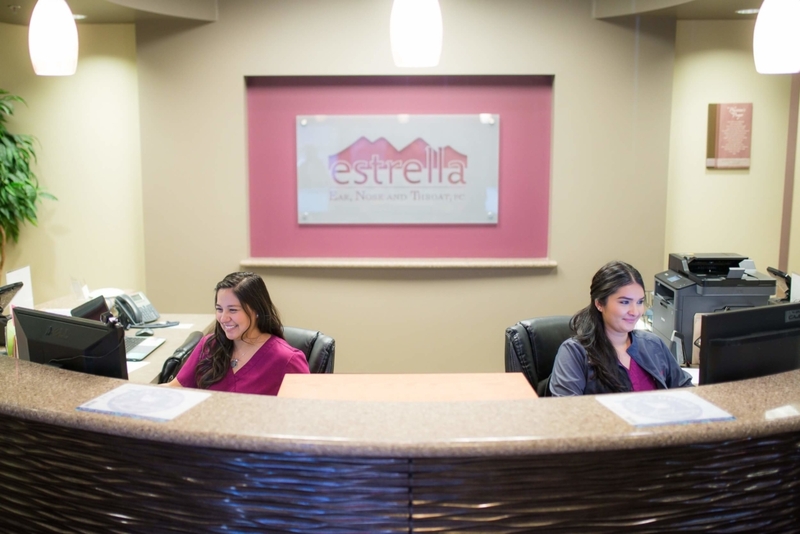 You can call our office at (623) 535-8770 or schedule a visit at your convenience using our secure online portal. All of my kids have seen Dr. Wiggenhorn for the past 3 or 4 years now. All of his staff has been great. We have been through several different treatments, surgeries and procedures for different things and each has been professional. I always feel like my kids are cared for instead of just treated. They love his cool little forehead lamp! I would recommend Dr. Wiggenhorn’s practice anytime. Both of us consider Kevin to be a true, knowledgeable professional. Appointments are easy to make with Kevin – he is friendly and helpful and is always ready to help us with our hearing issues. The hearing aids we ordered have proved to be great as well. I have had my hearing tested several times and purchased hearing aids from Kevin. Previously had a bad experience with another audiologist who made me feel I needed to spend thousands more or my hearing aids would not be appropriate. Kevin assured me that I did not need to spend that much and the hearing aids that he recommended would be more than adequate. They have proven to work very well. He saved me thousands. Kevin is that very nice combination of professional and thorough in his approach but also personable and pleasant. 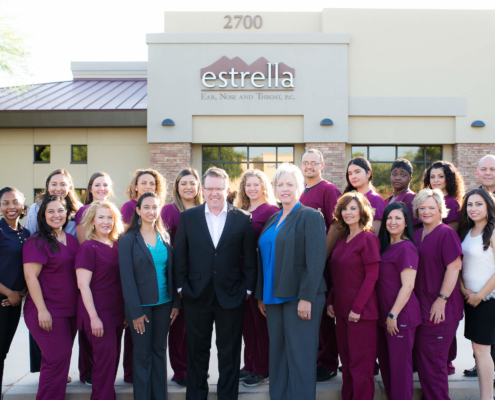 At Estrella ENT, we want all of our patients to benefit from optimal health and happiness. If you are currently suffering from irritating symptoms that affect your ears, nose or throat, our professional and experienced medical team can help you. To learn about our variety of minimally invasive treatments, call us today at (623) 535-8770 or stop by our Goodyear or Sun City West office. Ready to schedule? 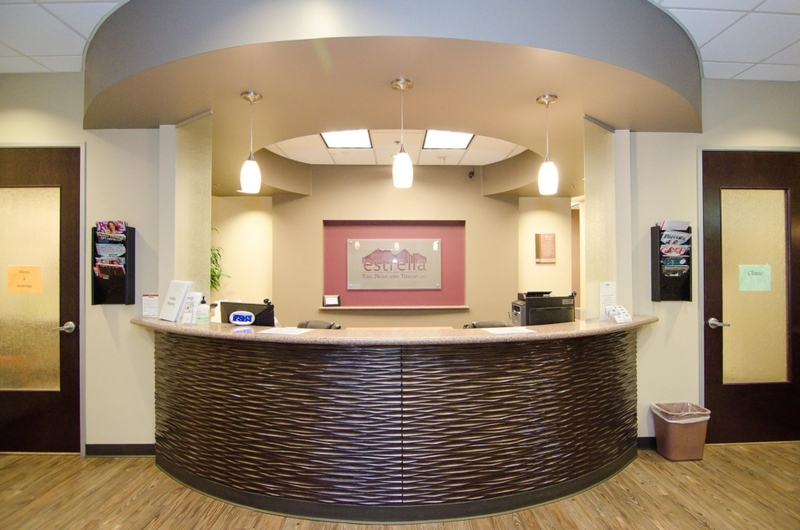 Please call our office at (623) 535-8770 or schedule a visit using our secure online portal. Our clinicians provide both in-office procedures to complex head and neck surgeries. For over a decade, Dr. Jonathan Wiggenhorn has been board certified in otolaryngology/head and neck surgery. Dr. Wiggenhorn is also an Associate Clinical Professor at Midwestern University and the official ear, nose and throat physician of the Cincinnati Reds during spring training. He has personal experience with sinus issues and has extensive knowledge about what can be done to address your symptoms and improve your life. 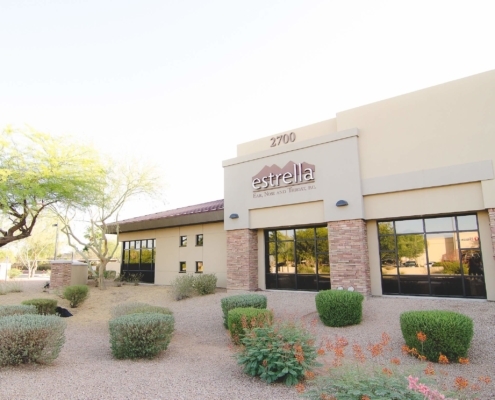 Estrella ENT offers comprehensive testing and treatment of disorders such as sinusitis, allergies, chronic snoring, ear infections and hearing and balance problems for children, adolescents and adults. The practice is committed to pursuing medical and/or minimally invasive treatment alternatives whenever possible. 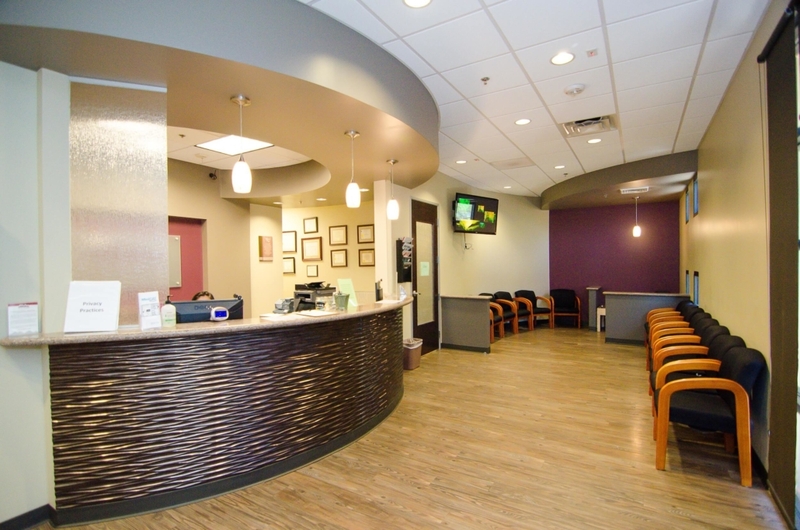 We effectively treat patients throughout the West Valley! Our goal is to provide you with caring and top-quality services and to offer you the helpful, informative answers you deserve. 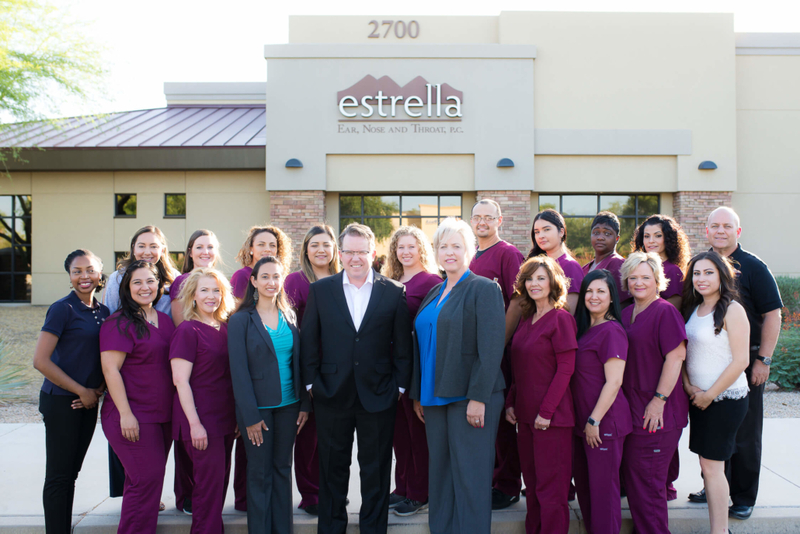 At Estrella ENT, we take the time to thoroughly understand your needs to provide the most effective treatments for you. To learn about our range of minimally invasive treatments to our complex head and neck surgeries, call us today at (623) 535-8770 or stop by our office in Goodyear. “We have had many, many requests during the past couple of years to provide a location for our NW Valley patients and we needed to find the right location. We’re delighted to announce the opening!”. You can call our ENT practice directly or use the contact form to send us a message prior to scheduling an appointment (please refrain from including any personal health information using the contact form). If you know what you’re looking for, here are a few resources our patients have found helpful.